Delegation of General Staff of the Army of the Republic of Macedonia, led by Chief of Staff Lieutenant-General Goranco Koteski, who is on a visit to the Ministry of Defence and the General Staff of the SAF, visited the Military Medical Academy. The Acting Head of the MMA Col. Prof. Zoran Segrt welcomed the Macedonian delegation and briefed them about the results of the MMA’s work. He stressed that the relations in the field of military medical services are excellent, and that the mutual work on the development of a regional project of the Balkan Medical Task Forces (BMTF) is an excellent example of that. He pointed out that the Military Medical Academy, in addition to treatment, fosters scientific research work and education, and that this year, 18 cadets of the MMA Faculty of Medicine, University of Defence in Belgrade will be promoted to the rank of medical second lieutenants and deployed within the military medical service institutions in Serbia. He announced further work on the transformation of the training center for medical staff MMA into the referential regional center for the region of Southeast Europe. 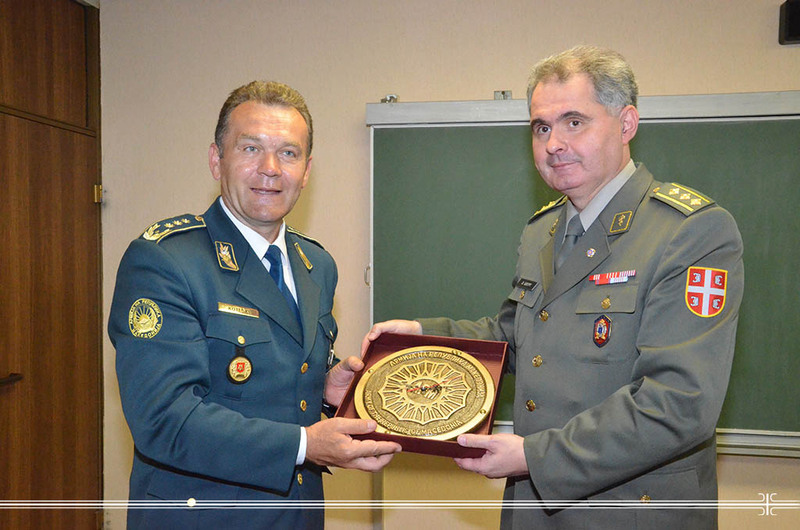 General Kotevski expressed his satisfaction for visiting the Military Medical Academy because it is an institution of reputation. He said that the Macedonian side is interested in various forms of cooperation, especially in relation to training and specialization at the MMA, and he assessed the work on the concept of the BMTF as a successful project. He stated that through cooperation the common interest is to use the available capacities since that is in the best interest of both parties.